Summer Worries Bugging You ? - Roberts Architects LTD Roberts Construction Group, Inc.
Summer Worries Bugging You ? Frustrated you can’t enjoy your own yard because wasps & bees might sting you ? Worried that too much chemical insect repellant is bad for your health ? Fearful of the buzzing mosquitos and the West Nile Virus they can bring ? 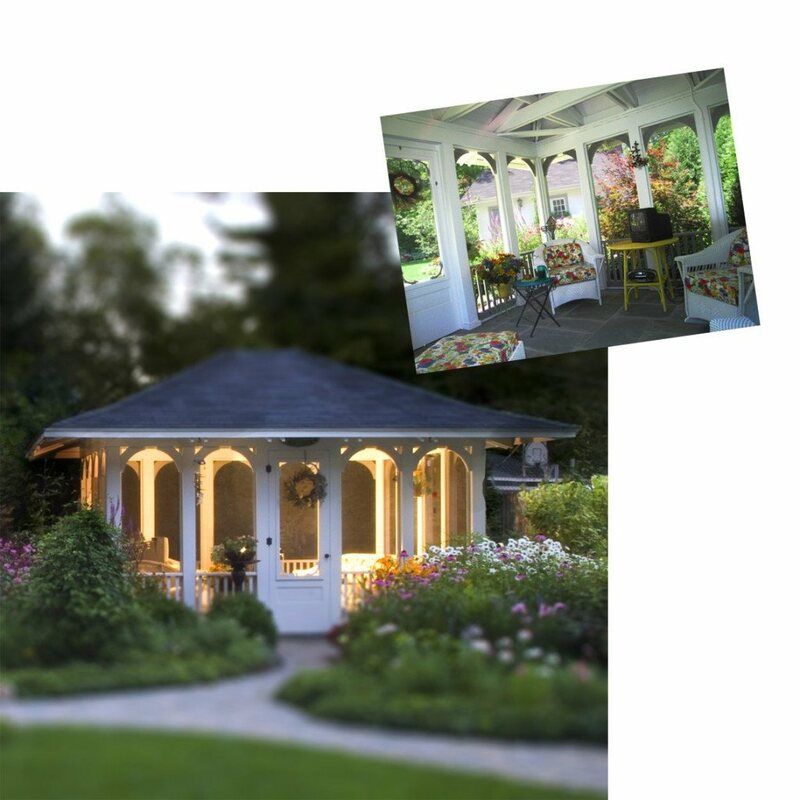 A screened porch or gazebo might help you enjoy the cool evenings again without the bother and worry of mosquitos, wasps, bees and the health worries and annoyance they deliver. This Evanston garden gazebo is a warm weather haven, including a ceiling fan, and even cable tv and internet.